When it comes to exploring haunted citadels, you should always carry a weapon, trust no one and, most important of all, remember the golden rule: Let sleeping gods lie. 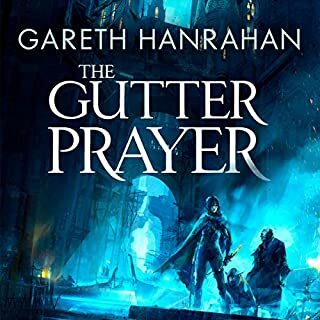 There are some far-fetched rumours about the caverns beneath the Citadel: Some say the mages left their most dangerous secrets hidden there; others, that great riches are hidden there; even that gods have been imprisoned in its darkest depths. For Lord Frith, the caverns hold the key to his vengeance. Ebora was once a glorious city, defended by legendary warriors and celebrated in song. Now refugees from every corner of Sarn seek shelter within its crumbling walls, and the enemy that has poisoned their land won't lie dormant for long. The deep-rooted connection that Tormalin, Noon and the scholar Vintage share with their Eboran war-beasts has kept them alive so far. 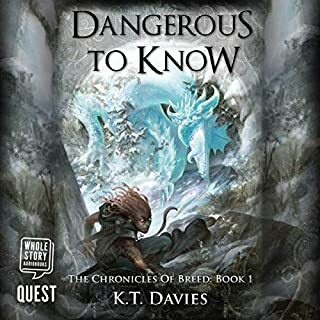 But with Tor distracted, and his sister Hestillion hell-bent on bringing ruthless order to the next Jure'lia attack, the people of Sarn need all the help they can get. 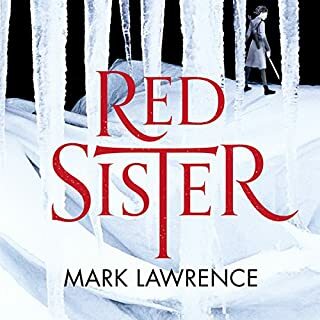 Almost switched it off after the first couple of chapters as it starts a bit slow, but I'm so glad I carried on as the story gets really get exciting later. I can't wait for the next book in the series! I thoroughly enjoyed this book. The world building is intriguing and the characters interesting. I also enjoyed the narrator, who injected plenty of differentiation between the characters. Highly recommended. 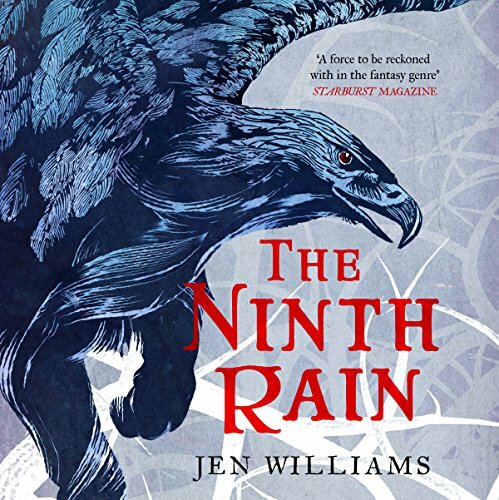 Jen Williams is an underrated star of British fantasy. No wait, of the whole fantasy genre! 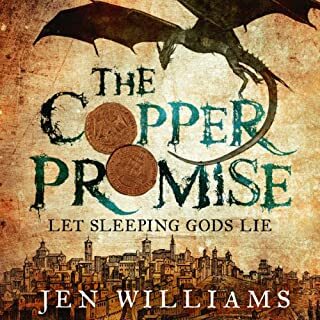 I'm a huge fan of Jen William's previous trilogy, the Copper Cat Trilogy, so I was excited to get this new book, starting a new trilogy, in a new world. All the elements I loved from the Copper Cat series were there. 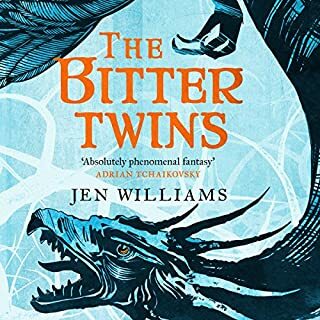 Jen Williams is such a wonderfully inclusive author and I don't think I can shout enough about how much I love that. The characters she draws are always complex, flawed and so likeable (unless she doesn't intend for you to like them). So getting to know the people that they are and understanding their variety of loves, lusts and desires adds to the exciting plot immeasurably. 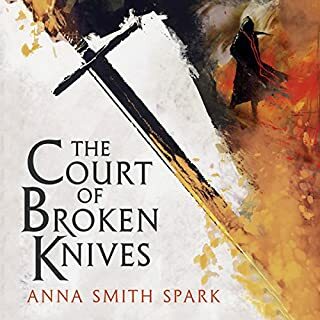 I'm a huge fantasy fan, but having an author who is willing to challenge the old, poorly thought out gender and sexuality tropes of the genre, but without making that the whole story... it actually makes me jump up and down with excitement when I tell people about it. And the exciting plot I mentioned! I'd agree with other reviews on audible that the first few chapters don't rush. But you'll see why they're important as the book builds and builds, to be a fast-paced, romping adventure story. 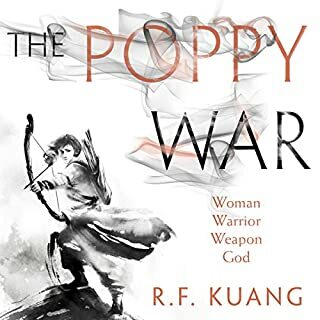 If you liked the way the Copper Cat trilogy was a story about a trio of three wonderful, engaging and diverse characters, going on a pacey, twisting adventure together, with just the right amount of action and fighting, and some great characters to meet along the way, then you'll love this too. That's not to say it's more of the same though. This new story feels a bit darker than the Copper Cat trilogy. It's set in a world that's gritty, grimey and on the edge of collapse following repeated invasions by an old enemy. It's full of crumbling ruins and dark, wild places. The inhabitants of this world are correspondingly dark, and there's no shortage of malicious intent to keep you wondering what's going to happen. There's a lot that will keep you guessing throughout the book, with lots more to uncover in the ones to follow. I would definitely recommend reading it or listening to it. The narrator in this version is great - lots of variation in the voices to help you appreciate the different characters. Great pacing, great emphasis. He really tells the story well. I just had no idea that the mythical land of Ebora must share a border with South Wales... I could swear there's a lilt of Barry in that deep Eboran voice! I enjoyed this thoroughly. 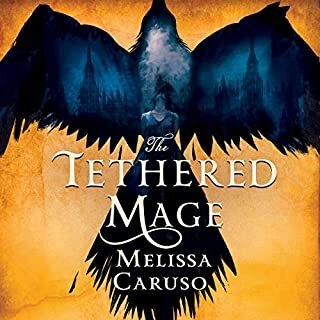 I highly recommend it for anyone who likes fantasy. 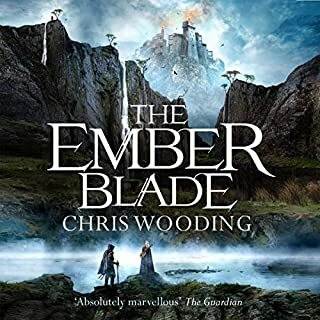 Even if you like great adventure stories, but are put off epics like Lord of the Rings or a Song of Ice and Fire by the length, the endless questing and detail. 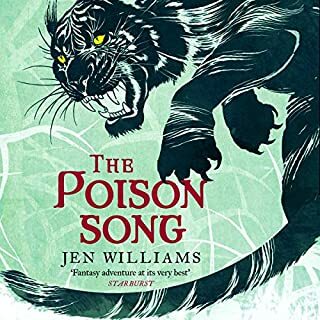 Jen Williams delivers a cracking romp of a story, with all the depth of characters you could want. All while keeping the journeys short, the magic simple and the plot bloody good fun! I didn’t hate the book, I just couldn’t care enough to like it. Even where I missed bits I couldn’t be bothered to go back. At one point a dragon appeared and I realised I had zoned out some while previously. 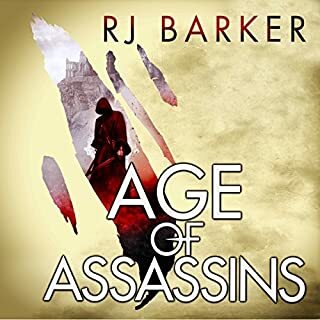 The characters weren’t individually interesting or charismatic enough to grab my attention. Plenty of others enjoyed it so maybe I just wasn’t the right reader. 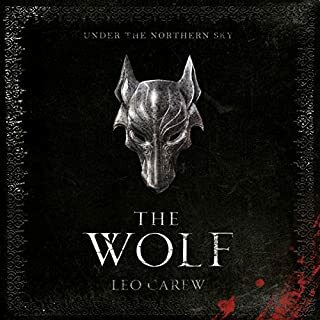 Slow to start, as with a few other reviews I nearly gave up initially, I am glad I did not. 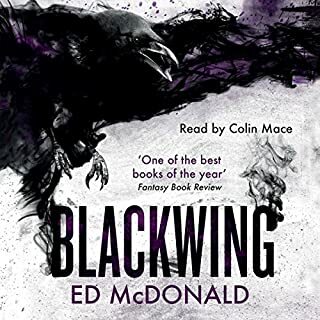 It is not my favourite book or even the best one I have read recently, however it is a very entertaining one, this is why I read fantasy. Well, the book has everything you'd expect from an epic fantasy: a detailed universe, heroes, magic, etc. However the story is very predictable, at times childishly naive, at times too 'adult'. But it all would be OK if not for the overabundant and very detailed descriptions of various kinds of deaths and sufferings [maybe a spoiler] caused by 1) fire burns 2) bugs. Really, it seems that these descriptions add a few extra and quite unnecessary hours to the story. 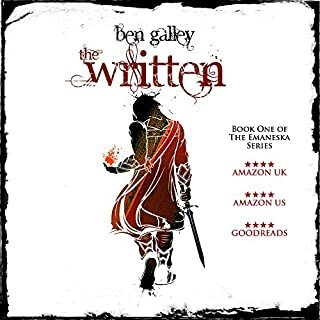 it has been very hard for me to get into new authors, so entrenched I have been in my love of Tolkien, Robert Jordan, Terry Pratchett, James Barclay and David Gemmell. I have now added Jen Williams to that list. 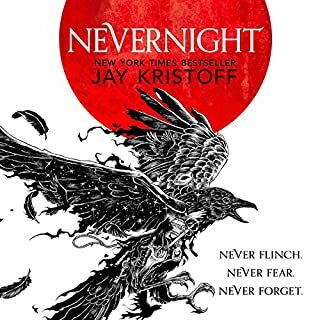 I loved every moment of this story, and eagerly await my next credit so I can get my hands on the second book. 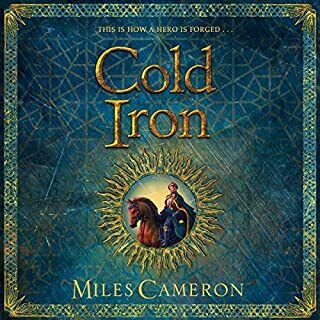 immediately fascinating characters, a believable and well envisioned fantasy world, and a story that made me want to just keep listening added up to make this one of the best things I've listened to in a long time. 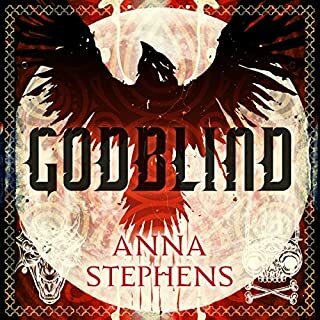 I have to give a mention to the excellent narrator also. who brought the characters truly to life. This was billed as for readers of Robin Hobb, who I adore. Though the story itself could be comparible (I don't know, I didn't get past chapter 5), the book was let down by it's writing. It was impossible to lose myself in the story because a lot of the description was overly dramatic, and it felt like comments were added into dialogue just to aid the story-building for the user. All of the characters seemed to share a single personality - presumably the one of the author - and so it made them difficult to believe. They all seemed to say what they were thinking, regardless of who they were speaking to and what situation they were in. I really wanted to like this book, but I didn't. A beautifully written story with twists and turns. Really enjoyed the telling of this tale, Jot Davies was truly captivating. This is the first of Jen Williams books I have heard or read and I will again look for her books as the characters have depth and beauty. I cannot wait for the third instalment. 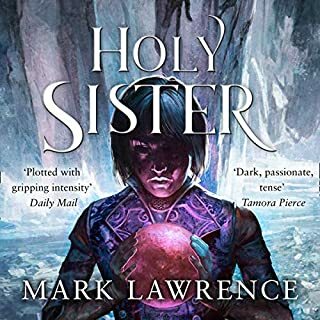 Brilliant story that doesn’t pause for a second and the mix of genres, I found, kept me guessing at where this could go.